Contentment is something that I have struggled with in my personal life for years. I’m constantly working on being content and even happy where I am in life, regardless of if there are things I still desire or not. Yes, I want a house with a yard for my kids, but I’m content and thankful for the apartment we are in now, and so on. I find with blogging, I face a similar problem. This time last year I had the idea in my mind that if I could just start averaging 1,000 views a day I’d be happy. That number was so huge to me, I thought I would be completely thrilled and content when I made it. But then I reached it, and I just started wanting more. Wishing for 2,500 views a day and then when I reached that yearning for 5,000. Each milestone that I hit leaves me hoping for more, striving for it and yes, even stressing over it. 2 years ago I thought I’d be on cloud 9 when I published my book. I figured that, even if it only sold a handful of copies, I would be so happy that I had reached my goal of becoming an author, that it wouldn’t matter. But, it does matter. I’ve published it and even reached my first month’s sales goal in just 1 week. That’s huge, and yet I still find myself worrying and obsessing over how I can get the book into more hands, and what I can do to make it better. This is the problem we face as bloggers & writers, because we must constantly be pushing ourselves. We don’t answer to a boss, or corporation, so we have to set our own goals and strive for them ourselves. This isn’t a bad thing in and of itself. I always want to be pushing myself farther, and striving for new goals. What I don’t want to be is a stressed out mess of a woman because I want to write more posts and sell more books. That won’t help anyone, least of all my family and myself. Yes, I want to strive to do more. But no, I do not want to be stressed like this anymore. I’m not going on hiatus. I’m not quitting, I’m just reassessing my priorities. Nothing is going to change around here. But plenty is changing in my heart. I’m letting go a little. I will still be writing the same amount, but doing it at more specific times. I’ll still be chasing my dreams 100% but I won’t let my dreams chase me. I won’t let them beat me down when I’m not reaching them all within the first 3 minutes of my day. Strive for your dreams, work hard towards your goals. But don’t let it overwhelm your life. Don’t let your dreams steal your joy. Because then they aren’t dreams, they are shackles taking every meaningful thing in your life, and every success and turning them into reminders of what you haven’t achieved yet. So now, I’m choosing to be content. Deciding to be happy, with the number of views I’m getting, the amount of money I’m making and the number of books I’m selling. I’m still working towards more. Still hoping to reach new goals. But I’m also happy where I am. I’m also letting myself take the night off to spend with my husband, because those link parties won’t make or break my blog, but intentional conversation with my husband will make both of our lives so much better. Missing a twitter party won’t mean the demise of my social media presence but skipping out on praying and thanking God for the gifts He’s given me, will inspire the slow decline of my spiritual health. A simple shift in priorities. I’ll still be here, nothing will change on your end (except maybe better content to read) but a lot is changing on my end. 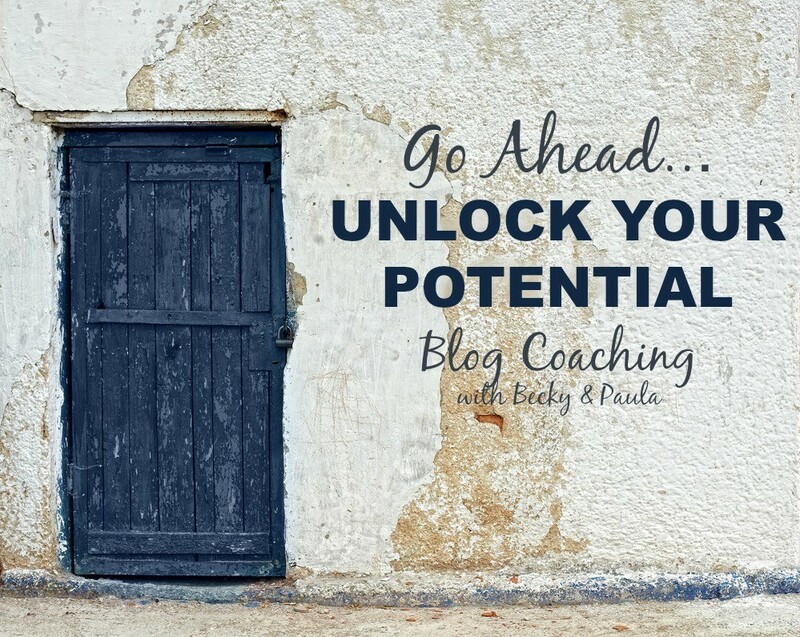 Will you join me in the journey to contentment as bloggers? I think we’ll like it there. “I won’t let them beat me down when I’m not reaching them all within the first 3 minutes of my day.” That’s so me! My never-ending to do list makes me feel like I’m not accomplishing anything, but that’s not really the case. For me, the hardest thing about blogging is that there’s always something else that can be done and knowing when to step back and just let it be. I’m definitely with you in this! This is one of those things that I need to remember. My blog may be loosing hits, but I’m also doing the things I love, and learning more skills that I hope to be able to teach others in the future while I’m offline. I think that we get so caught up in the blogging game that we forget we have lives outside of our daily stats. I shuttered my old blog in November and began fresh, in part for this very reason. Being that person, living up to those goals … it was relentless. I’m enjoying the new beginning. I find myself in the same battle. Last November I was very aggressive at meeting certain goals and commitments. I took a nice long break around Christmas and have been much more relaxed this year. I still have goals BUT I won’t let them rule me or my schedule. Same thing is going on in my mind and starting this weekend, things will change in my blogging habit. 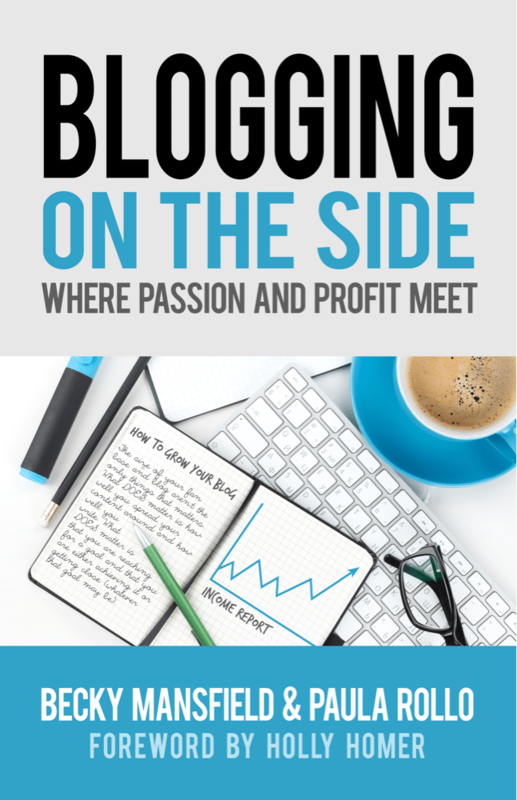 I intend like you to blog without pressures while writing great content. I loved reading this because these are the kinds of things that have been in my own mind for a few weeks now. Thank you for sharing this with us! Stopping by from the Weekend Re-Treat, have a great weekend! What a good point that the bulls eye keeps moving. As we grow, we always want more. On board to be content! Glad to find your site through Welcome Home Wednesday! It’s so hard not to get caught up in the numbers. Especially when you’re looking at other blogs and can’t help but comparing yourself to them. You are right though when you say “I am choosing to be content” contentment is definitely a choice. Thanks for the perspective, I’m going to de-stress along with you! I’m loving this post Paula! I wanted to stop by and say “Thank You” for linking up to The Weekend re-Treat Link Party last weekend on The Best Blog Recipes and to Pin your post to our party boards while I was here tonight too! I always check back to my blog from time to time and think what kind of improvements does it need, or am i missing something. Usually i end up realizing that i should just add more well written content about how i condone myself online and also matching the theme color to my site. 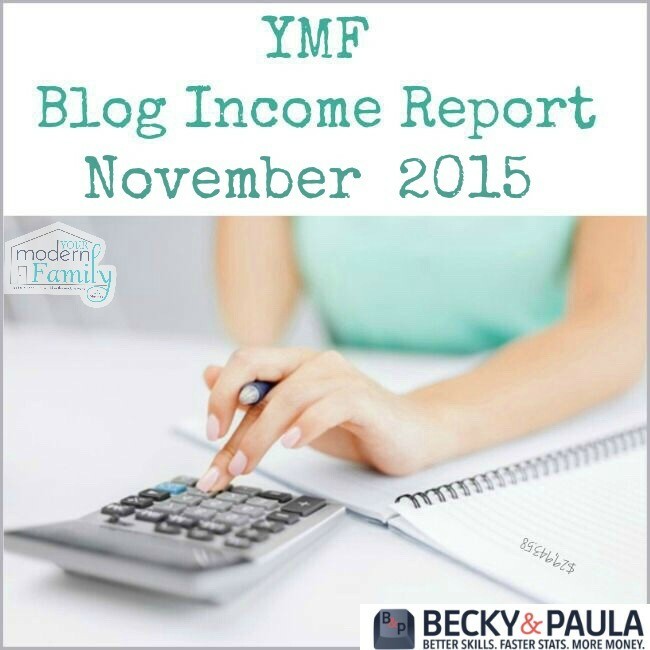 I read a post recently from an author who makes $5000 to $7000 on her blog a month. Her secret for managing her time: she does the majority of the work during working hours at her day job. Her job is relocating next year to another city and she will quit and become a full-time blogger. She is concerned that she won’t have as much time to work on her blog when she’s home because she has two small children. This was a real eye-opener for me – I work full time. My company is incredibly busy this year and I barely have time to read Feedly during lunch on my Kindle. I decided to stop stressing about my stats and just do what I can. I’m also taking kind of a break over the holidays to clean my house and spend time with family. While reading this, I feel like I wrote this myself. Slapping myself. This is the conversation I have with myself everyday. Thank you for your honesty and I am so glad that I stumbled upon this post. Thank you, Paula. You always manage to speak directly to ME! 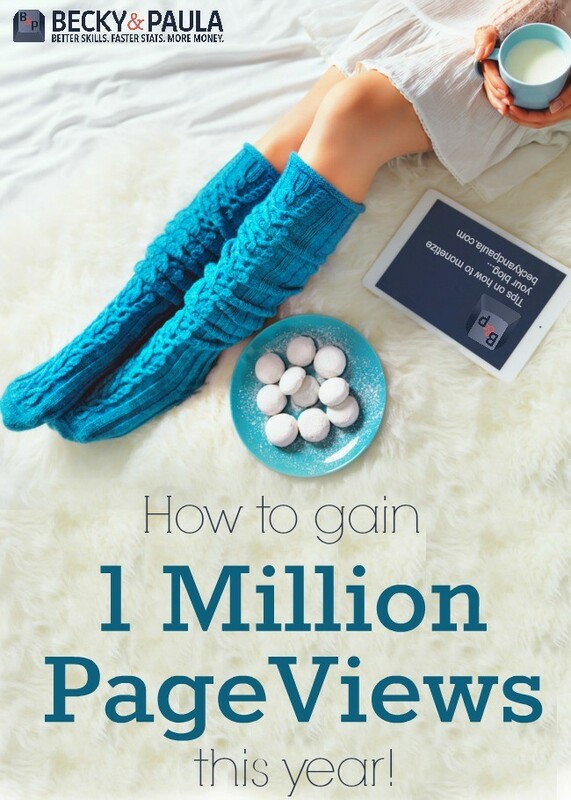 I haven’t quite hit my goals yet – but I am also learning to STEP BACK from watching the page views… When i get an unsolicited email from a reader thanking me for sharing my life THAT is when I know I am doing it right… and THOSE are the times that leave me warm and fuzzy – the page views don’t keep me warm at night! THANKS for reminding me to take a step back – without really taking a step back. Amen Sista! I hear ya loud and clear. The comparison thing kills creativity, joy, and spirit and plays nasty mind games. We blog because we love to write and create. The most interesting blogs are those that dance to the beat of their own drummer! I’d rather the numbers come organically than through beating the drum so hard I’m wearing out the skins. Right there with ya. I find myself always looking for the next and not enjoying the moment. I hope to be able to teach others in the future while I’m offline. I think that we get so caught up in the blogging game that we forget we have lives outside of our daily stats. I have seen many blogs related to this niche, but I could certainly say that this one is best. Job well done! 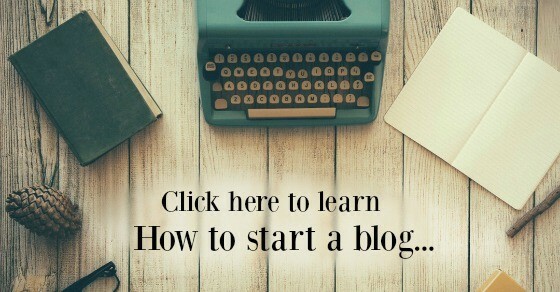 Unique and quality content is main part of any blog. Thank you so much for taking time and contacting Decanter Reviews the featured blogger to put this great article together! 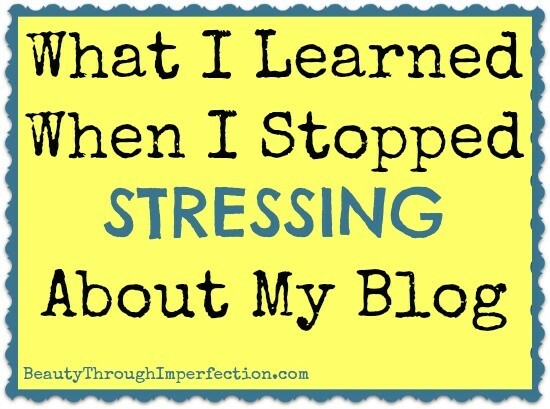 Hey Buddy!, I found this information for you: "Being Content With My Blog". Here is the website link: https://www.beautythroughimperfection.com/content-blog/. Thank you.